Why is it that a group calling itself the ‘Global Anglican Future’ seems so intent on repeating the errors of the past? The history of the church is littered with the shells and remnants of purist and separatist movements, as is the world. From Babel to Utopia, from the Zealots to the Taliban, from the House of Shammai to the Sanctified Brethren — such efforts to lift and separate more often fall and dissipate. The church will always be a hospital for sinners, a field strewn with weeds and wheat; it is not the task of one sinner to judge another, nor the task of anyone to weed the field. We are instead called to grow and bear fruit — and it is the fruit that will be gathered in the harvest, not the stalks, be they weed or wheat. "The history of the church is littered with the shells and remnants of purist and separatist movements" and the history of the church is litterd with other things, too: capitulation to culture, moral laxity, half-baked theology, cowardice, idolatries of countless sorts . . . . so your post, itself judging GAFCON (! ), undercuts itself for me. And, of course, this is not just becaue you are judging them but also because it just isn't convinving for an American priest, on your side of the presenting issues, to throw the word 'separatist' about. Your church decided by its actions to walk apart. Your response is sadly predictable. Are you familiar with the logical fallacy tu quoque? You comment is a good example. You do not address at all the truth or falsity of anything I said, but rather try to lob a "you're just as bad." I may well be just as bad -- as the latter portion of what I said acknowledges, the church is full of sinners of all sorts; but that doesn't address the content of my comment, or its accuracy. As to content, you claim I am "judging" GAFCON. I am doing no such thing. They portray themselves as a separatist movement aimed at purifying and reforming the church. (Read their Communiqué.) I have merely noted that such movements almost always end in failure. Do you dispute either fact? Whether GAFCON will end in failure is not for me to say; nor do I. But the track record for such movements is not very good. For what it is worth, I agree with your tu quoque as far as it goes: culturally submissive movements (I think of the state church in Nazi Germany) also fail from time to time, as do movements based on half-baked theology (often based on moral rigor rather than laxity, but that's another matter), and those ensnared in various idolatries. But again, that doesn't really respond to what I am talking about here, except to the extent that GAFCON has its own share of underdone theology and idolatries, and cultural submission (remember what Akinola said in the press conference about the need for sensitivity to African taboos?). So you will get no argument from me on this point, even though it is largely irrelevant to my concern. Finally, as to the by now somewhat tired accusation the TEC has walked away from anything: we are going to Lambeth, having accepted the invitation of the Archbishop of Canterbury to do so. It is the GAFCON leadership that is walking a deliberately separate path: either (1) in a few cases uninvited because of their choice to violate the recommendations of the Windsor Report, or (2) invited but refusing the invitation. GAFCON is explicitly walking apart from the rest of the Communion. As they constantly say, "Can two walk together unless they are agreed." They have no wish to walk with those with whom they disagree, and so they choose to walk apart. Oh dear. Respond to logically fallacies in the soundbite , that you gave us? Shouldn't we ask you to justify your comparisons of decent, godly, bishops of the church with . . .the Taliban? Okay. First of all, tu quoque is admittedly an ad hominem argument form but one which can certainly be okay when one is pointing out not logical mistakes, but the inconsistency, hypocrisy, duplicity, malevolence, special pleading, or (to keep the list manageable) questionable motives of the speaker or writer. If you give us a soundbite, and hardly an argument, how are we supposed to discuss its propositions when there are so few? (And, as a purely theoretical matter apart from the present ecclesial issues, wouldn’t it be interesting to discuss the influence of deconstructionism esp Focault—or Nietzsche before him--on the status of tu quoque fallacy; in that, if all speech is a power play, how can charges of tu quoquereally ever stand as a defense when one is challenged? Anyhow, be honest: do you really think Anglican moderates and conservatives should be linked with those you name . .the utopians, zealots, and for God’s sake . .the Taliban? Astonishing. How can one not call you on this, Tobias? So let me speak to your (smarmy) claims . First, there is no material similarity between those who attended Gafcon and the Taliban and so different are these two groups, the latter of which has enacted physical violence, supported and covered for terrorism, that any comparison or linkage ought to call into question the maker of such comparison. Second point: they are not repeating the errors of the past in any obvious way. They are declaring their intent to remain Anglican. Surely they would be the first to agree that God does the eschatological separating. (it always amazes me how those, like you, who have a so-called high ecclesiology, and put a high emphasis on maintaining the unity of the church, give it all up when maintaining truth is added to the list of things for the church to strive for and let the eschatological act of God undercut moral effort in the present when it is not the form of moral effort that you want! )They are trying to labor faithfully for what they take to be the Christian faith, as are you. It is a matter under contention. This has always been done. It involves realignment. And the calls for purity don’t strike me as out of place or hyper-neurotic. (One of the great triumphs of the devil, CS Lewis said, was the corruption of the word Puritan. He was right.) And ‘bearing fruit’ surely must mean loving righteousness. Third, we have shown our intent to walk apart by following the course that Windsor asked us to draw back from, by ignoring the primates and the instruments of unity, by proceeding with actions prior to theological justification and acceptance by our people let along the wider church. “We are going to Lambeth” hardly, in itself, counts as answering why those on your side take no time to answer why it is that 2003 was not “tearing the sacramental unity of the church” as the primates said it would be. You’ve supported a provocative action and a divisive action and then turn around and call others separatists. Seems transparent to me. Phil also notes that he finds Tobias arguments almost always "sadly predictable." Isn't the problem here not an unwillingness to be in communion with fellow sinners, but a basic disagreement over what is and is not sin? And yes, this does reflect my High Church and "Catholic" view of things -- which I think is the point of my soundbite. Obviously people should contend for what they think is right, but should do so within the church. The difficulty here is that we disagree about the substance of what each of us thinks is right on a specific question. I think we should remain together to discern the solution -- others think they have the answer and there is no need to discuss it further. As Craig says, there is a basic disagreement as to the sinfulness of a particular thing. Surely the church has faced such questions before -- as with circumcision or eating meat offered to idols -- and came to a decision after much counsel -- and there were some who continued to hold fast to what they thought was right in spite of the emerging change; they were the separatists of their time, and they faded from existence. Which was my point. In one sense, Craig, I think we are seeing a kind of post-modern meta-sin: that it is sinful to approve of something others believe to be sinful. This does make matters a bit more complicated, but it isn't really new: as with "eating meat offered to idols" -- a very serious sin in Judaism and early Christianity -- the disagreement rested with those who could not abide Paul's relegation of this formerly serious sin to the category of adiaphora. Just as a follow up, it might be interesting to look at this from one of the leading "men of God" of GAFCON. Those who see this as anything short of "wild" are, I think, sipping the same condiments as the good Bishop. Archbishop Henry Luke Orombi yesterday said he fears for his life because of the campaign he has waged against homosexuals. “Nowadays, I don’t wear my collar when I am in countries which have supporters of homosexuals,” he said while addressing Christians at Kitunga archdeaconry, West Ankole diocese in Ntungamo district. Orombi is among the Anglican archbishops who have led the boycott against the Lambeth Conference, which takes places later this month, over the issue of homosexuality. The Global Anglican Future Conference, which was held in Jerusalem last month, resolved to form a new movement and broke ties with the authority of Canterbury over the consecration of gay bishops. Despite the threats, Orombi yesterday continued his anti-gay campaign, asking Christians to pray for him and others who are against homosexuals. “Homosexuals are agitating that it is a human right. But how can it be a human right for a man to sleep with another man or a woman to marry a woman?” he asked. He argued that God created men and women so that they could have children and fill the world so that the generations could continue. “So where do the homosexuals want to get their children?” he asked. Orombi noted that homosexuals were trying to take advantage of Africa’s poverty by making donations, building schools and offering scholarships. “We should not accept any donation that comes our way and has strings attached. Some people have already fallen victims in Uganda and we need to stop it,” the archbishop said. Bishop Yona Katonene, the bishop of West Ankole diocese, who accompanied the archbishop, said he had received a report that a male teacher in Bushenyi had married a male student. This article can be found on-line at: www.newvision.co.ug/D/8/12/638231 with a hat tip to Thinking Anglicans. Unbelievable. Yet I am still willing to invite this man into my church, and to receive communion with him. So Phil's tu quoque just doesn't hold up, really at all. We are dealing, in Orombi at least, with a world view that is poisoned by, yes, I'll say it, homophobia. This man is afraid that homosexuals will kill him. He doesn't just think it is a moral failing; he is afraid, so afraid that he stops wearing his collar in public. Phil: "They are declaring their intent to remain Anglican." "Surely the church has faced such questions before -- as with circumcision or eating meat offered to idols -- and came to a decision after much counsel -- and there were some who continued to hold fast to what they thought was right in spite of the emerging change; they were the separatists of their time, and they faded from existence. Which was my point." I think Phil's make the point that Lambeth 1.10, the Windsor Report, DES etc., represent the decision at which the church (leaving aside for the moment who we mean by that) has arrived. By failing to accept that decision, it is not GAFCON, but rather TEC that is the separatist movement. If it be true that separatists generally fade from existence, it is TEC and not GAFCON that will fade away. Now I understand the argument that the AC is not a "church." And if you choose to define TEC as the church, then of course, your argument makes sense. But when virtually the entire catholic church (Anglicans, Roman Catholics, Orthodox) share the decision of evidenced byLambeth 1.10, WR, DES, who then is the "seoparatist" doomed to fade into oblivion? Lest you forget, Tobias, only a few years ago, a Kenyan African Bishop (Simon Oketch) was beaten in London by clergymen who considered him a hompophobe. Why is it that you believe Bp Robinson who claims his life has been threatened (I am reasonably confident he is right) and you believe Davis MacIlaya who claims he is threatened constantly and his friends beaten (nary any support offered for the claims), but Ab. Orombi is a homophobe because he expresses fear for his life and that makes his claims "wild?" I assumed that was what Phil is referring to. Regardless of the extent to which some may feel that Lambeth, Windsor, DES, etc. represent decisive positions taken by the Anglican Communion, TEC has been found to have become compliant to the requests of Windsor by the ABoC. Hence the invitation to Lambeth. The Gafcon group doesn't accept his decision, and continues its own violations of the Windsor Report, leading to the non-invitation of the most egregious violators on the part of the ABoC; he has has referred on numerous occasions to all of this, bidding Gafcon to step back. They, unlike TEC, have refused. They have also rejected his invitation to come to Lambeth, which appears to be a refusal to walk with the rest of the communion. As to the incident concerning Oketch, it is quite a stretch to portray it life-threatening in that it stopped even before any blows were exchanged, according to the East Africa Standard report: "almost resulted in an exchange of blows." "Two Church of England clergymen assaulted Anglican Church of Kenya Bishop Simon Oketch in London for opposing Gene Robinson, according to the East African Standard of Nairobi. While he was walking down the street toward a church conference he was attending, Oketch told the newspaper, the two clergymen approached him and asked him where he was from. I certainly deplore grabbing people, if that's what happened, but it is hardly something about which one need be in fear of his life. Were charges pressed, I wonder? The only reports I find of this incident from five years ago rely solely on the Nairobi press report. The original story no longer appears to be on line at the Standard's site, nor is there any other reference to the incident there. Meanwhile, gay and lesbian persons actually are murdered, imprisoned, and raped in many parts of the world, including Nigeria and Uganda. Akinola and Orombi have attributed this to the cultural realities of those places. There is ample evidence and police reports to prove these things happen. Orombi's words are widely recognized as typical of homophobia. 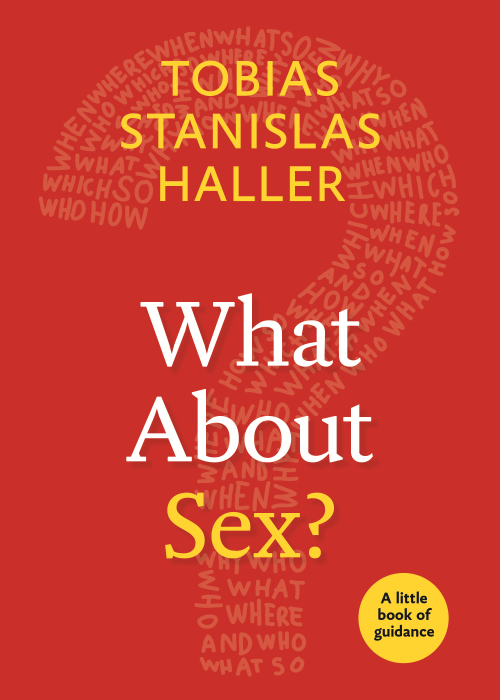 They do not represent a rational, calm, view of the moral question of homosexuality. ("Where will they get their children?" is particularly off the wall. Many gay and lesbian people don't want children, but those that do have ample orphans to adopt, abandoned by their heterosexual parents.) Orombi may actually fear for his life -- but that is what is irrational, given the (lack of) evidence. And homophobia is, among other things, "an irrational fear of homosexuals or homosexuality." Dan, I'm sorry you seem unable to see a problem with Orombi's comments. This "TEC has been found to have become compliant to the requests of Windsor by the ABoC. Hence the invitation to Lambeth" is just not true. At all. In no way has ABC found TEC compliant. The language of Windsor asked Bishops who supported VGR to consider absenting themselves. Rowan's inaction on enforcing this is a far cry from saying that he has judged us compliant. Yeesh. You are once again confusing your judgement of TEC in terms of the Windsor Report, with that of the ABoC and the Joint Standing Committee he appointed to review the TEC actions. That committee reported, regarding the blessing of ssu's, "We understand the statement of the House of Bishops in New Orleans to have met the request of the Windsor Report." 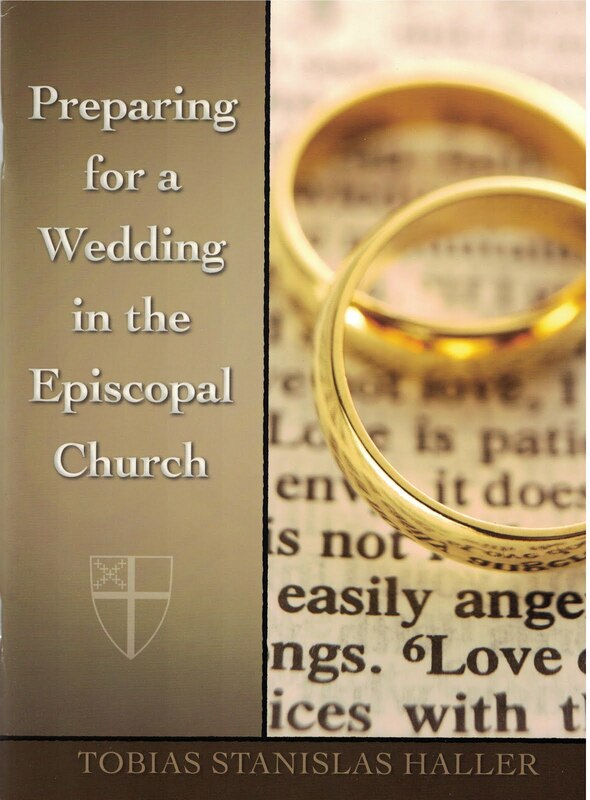 Concerning elections to the episcopate, the report affirmed "that the Communion Sub-Group were correct in interpreting Resolution B033 as meeting the request of the Windsor Report." 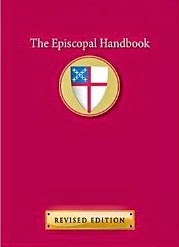 As they concluded, "We believe that the Episcopal Church has clarified all outstanding questions relating to their response to the questions directed explicitly to them in the Windsor Report, and on which clarifications were sought by 30th September 2007, and given the necessary assurances sought of them." The Archbishop accepted this report, and on its basis moved forward. You are, of course, entirely free to disagree with the assessments of the report, and with the judgment of the Archbishop of Canterbury. You will not be alone in this. But your opinion on the matter doesn't effect what the Archbishop actually did. But perhaps another exercise which might prove fruitful is to look at other utopian/separatist communities (Mormon communities come to mind...) which seem to not implode or peeter out, and see why some survive and others don't. That sounds eminently sensible! Any splinter group that has such useful rules deserves not only to survive but go from strength to strength. Seriously, Tobias, that was a wonderful thought for the day. I must admit, I was astonished at the incredibly strong response it elicited. I would have thought the observation itself was unquestionable. But it did make me sad that even matter of fact comments like this cause such hostile reactions along such well worn political lines. Isn't it sad to see how deep these trenches are by now, that even the most general conversation risks a descend into controversy and anger. I'm beginning to think that talking really doesn't work, only listening does. And I wonder whether God redeems the world by listening to it. It is a bit depressing, Erika, but I'm becoming accustomed to it. The tragedy is that it is in itself an instance of the problem: Phil and Dan appear to want to rewrite history (even recent history) rather than to learn from it. Re this so-called "assault on Kenyan Bp. Okech": goodness gracious! This is on his say-so, alone? In LONDON? If this happened, why didn't he simply stop a bobby, and press charges? In short, I can't believe we're seriously comparing what was, AT WORST, probably a loud verbal altercation, with the kind of actual, physical assaults LGBTs are experiencing at the instigation of GAFCONians (inc. the amply documented attacks on Davis Mac-Iyalla). Tobias - FWIW (not much, I'm sure), you're talking to a different Phil than the occasional trouble maker that visits this blog, and I fear that my track record is being used to label him "sadly predictable." I worked hard for that label! Thanks, Other Phil. This is one of the reasons I encourage more identifiable pen-names, or even the use of real ones! Sometimes it gets confusing as to who is whom.